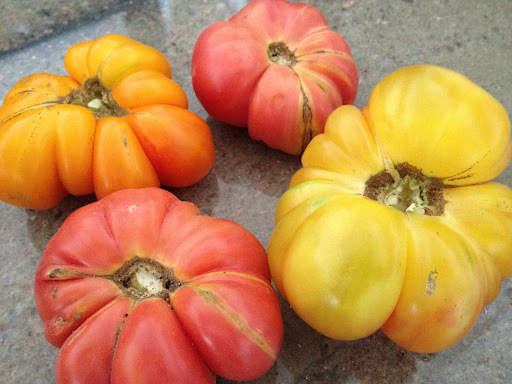 Heirloom tomatoes + DelPozzo’s extraordinary olive oil = perfection. 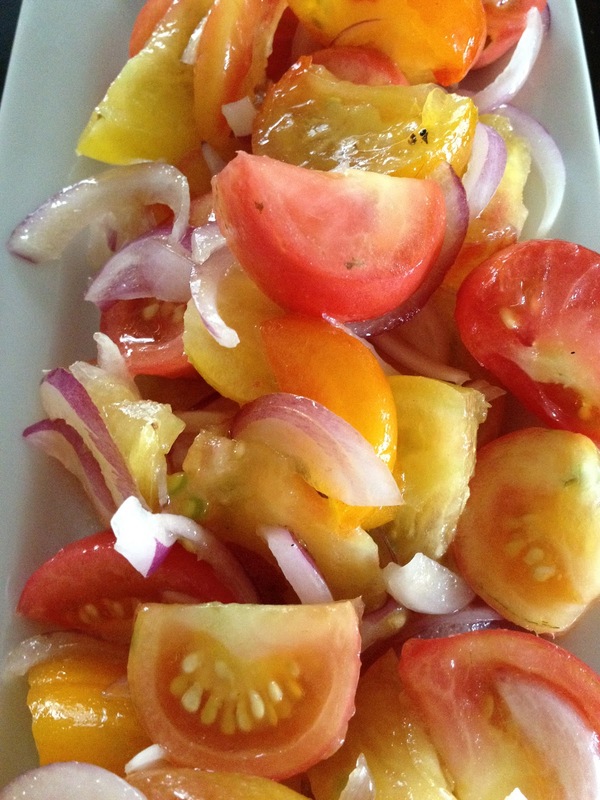 Cut the tomatoes into chunks and the onions into slices. Add olive oil and a dash of salt. Marinate for an hour or so. Enjoy!